There are many reasons why I love my husband, but his talent and ability to build pretty much anything has quickly risen to nearly the top of that list. I am always in awe every time I see one of his builds come to life. His two latest projects were beautiful. 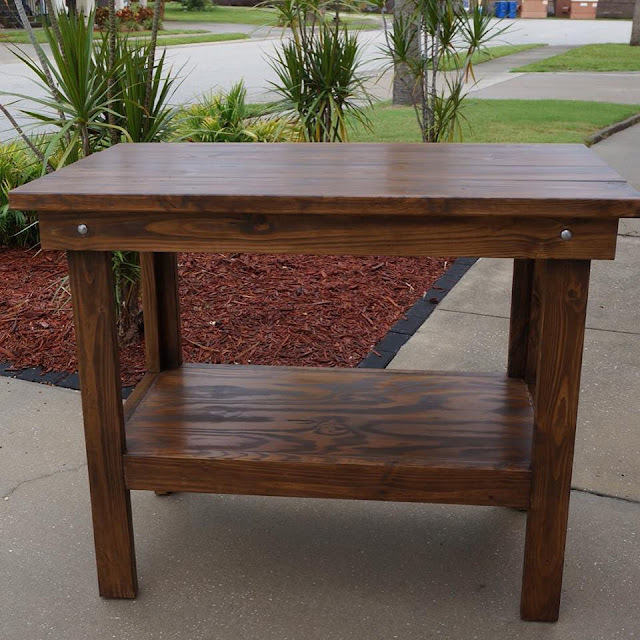 One of his coworkers requested a work table.. something durable that he could put his heat press on, but also something nice enough to be in his home on display. This was the end result. GORG. 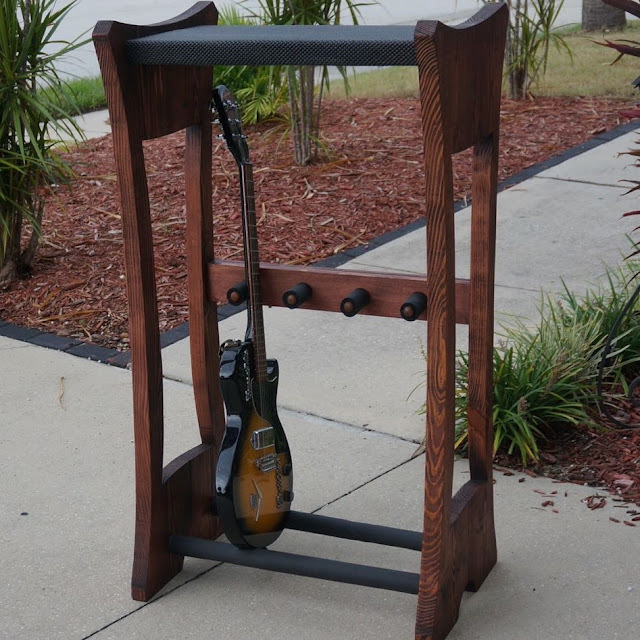 Another coworker asked for a guitar stand similar to one he had found online that was priced at almost $1000. (Insane, right?) Houston just took the challenge head-on and produced another beautiful piece of work. Soooooo.. now that he's all caught up on orders from other people, I'm the lucky customer! ;) He is finally able to start on 2 benches today for my kitchen table. I can't wait to see how they turn out. I mean, let's be honest.. they will be gorgeous. Everything he makes is.